Oreo cookies !!! What’s not to love about these 😛. A thick, creamy center is sandwiched between two crisp chocolate cookies. Just along with a glass of milk, it definitely makes a perfect dessert itself. Many other varieties of desserts using these sandwiched cookies also can be prepared which are the ultimate indulgence. 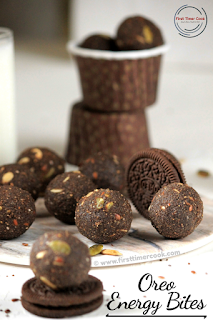 Here I have come up with some bite sized balls using these Oreo cookies as Oreo Energy Bites. Only with just three ingredients, these super delicious energy bites are prepared. Some dry roasted seeds are added to get some crunch while munching these. In that list of seeds, I have chosen flax seeds, chia seeds, sesame seeds, sunflower seeds, pumpkin seeds. But the list is totally choice-able, since these are available in my pantry so I have added all these. The raw seeds can be preferred, still by slightly dry roasting these seeds get some extra crunch. In a mixing bowl take Oreo biscuit powder, peanut butter and dry roasted mixed seeds like flax seeds, chia seeds, sesame seeds, sunflower seeds, pumpkin seeds. Using finger, mix everything well. Next take 1-2 tbsp of the mixture at a time and start making round ball shapes. Keep all these energy bites in an air tight container and serve when desired ! If ball shape is not easily formed then add 1-2 tsp milk in the mixture to bind. I haven't added any milk though here. 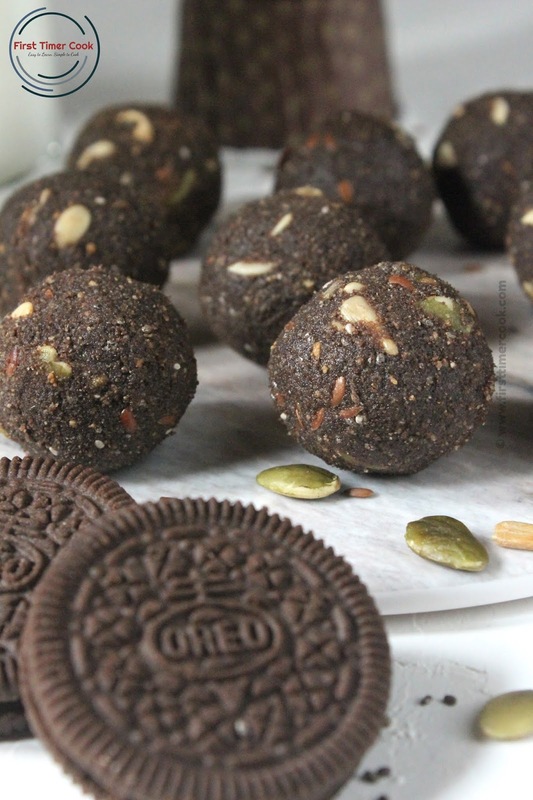 This 'Oreo Energy Bites' is contributed for 60th Healthy Wellthy Cuisines where the theme is 'Twist with Biscuit at HW'. Here are more similar recipes shared by our Healthy Wealthy Group members as Chocolate Biscuit Cake, Cheeslings Chaat, Biscuit Cake, Easy Fruit Trifle, Marie Biscuit Cake, Chocolate Nutella Tart, Biscuit Bhel, Carrot Paneer Mousse, No bake Swiss Roll, Pizza Crackers. These no cook oreo energy bites sound delectable Sasmita ! 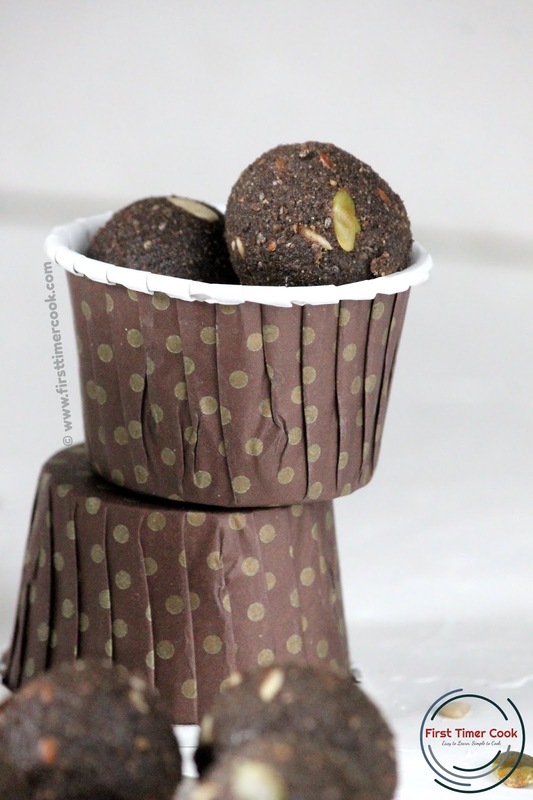 Smart way to hide the healthy seeds in a dessert that kids won't be able to resist. I love the idea of enjoying the Oreo flavor but without consuming too many cookies. Love how you've created guilt free energy balls which are nutritious. Wow dear!! You have outdone yourself in this one! Such a simple recipe but mind-blowing results! Brilliant idea to use oreo cookies to entice kids to eat something healthy! Fabulous share! WOW!! Sounds super healthy and super delicious. What fab pics. 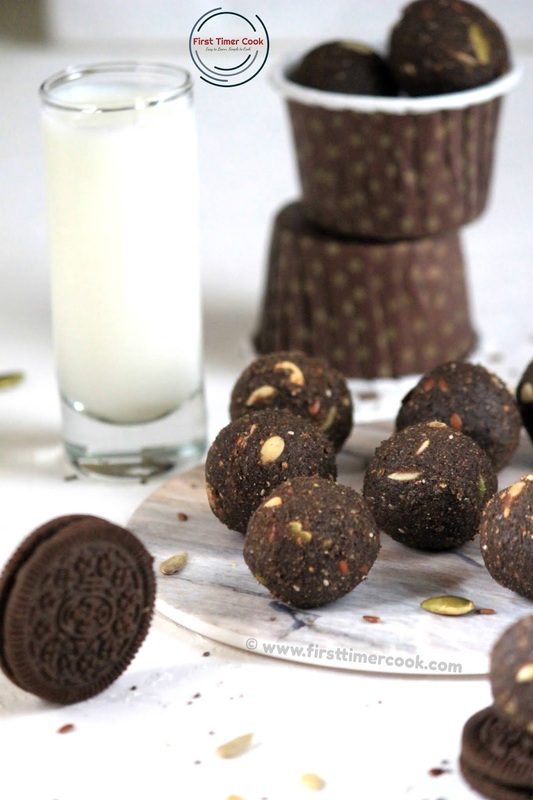 These oreo bites are easy to make, healthy and look so delectable. Nice share. What a beautiful presentation Sasmita!! Gorgeous oreo bites!! My kids love these, I add almond butter and add some leftover cake crumbs too. Will try with peanut butter also. 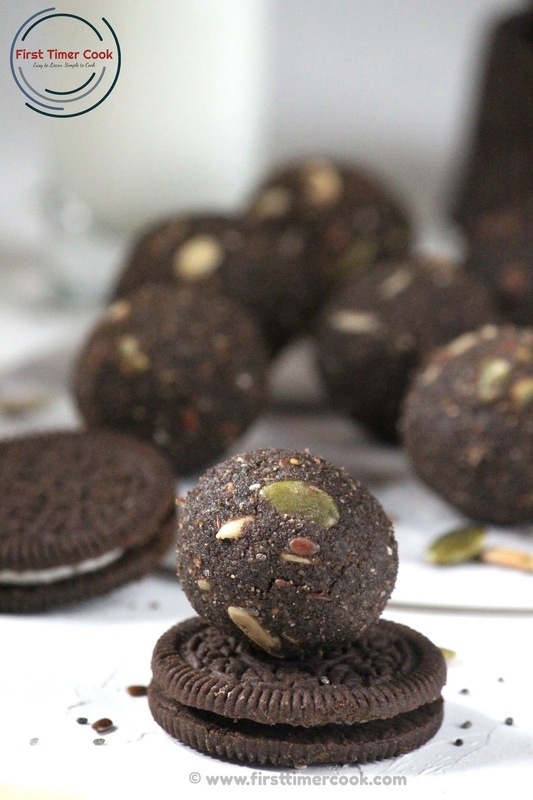 Energy bites that to made with Oreo biscuits... sound fantastic. A brilliant way of adding nuts in kids diet. And gorgeous captures as well!!! Both the recipe and the photograph are so good Sasmita. Looks fantastic and delicious!! !